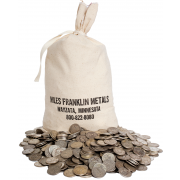 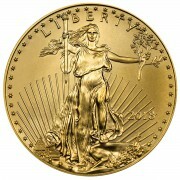 Known internationally for “green” refining, Republic Metals Corp. is highly regarded in the precious metals industry. 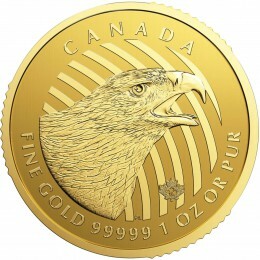 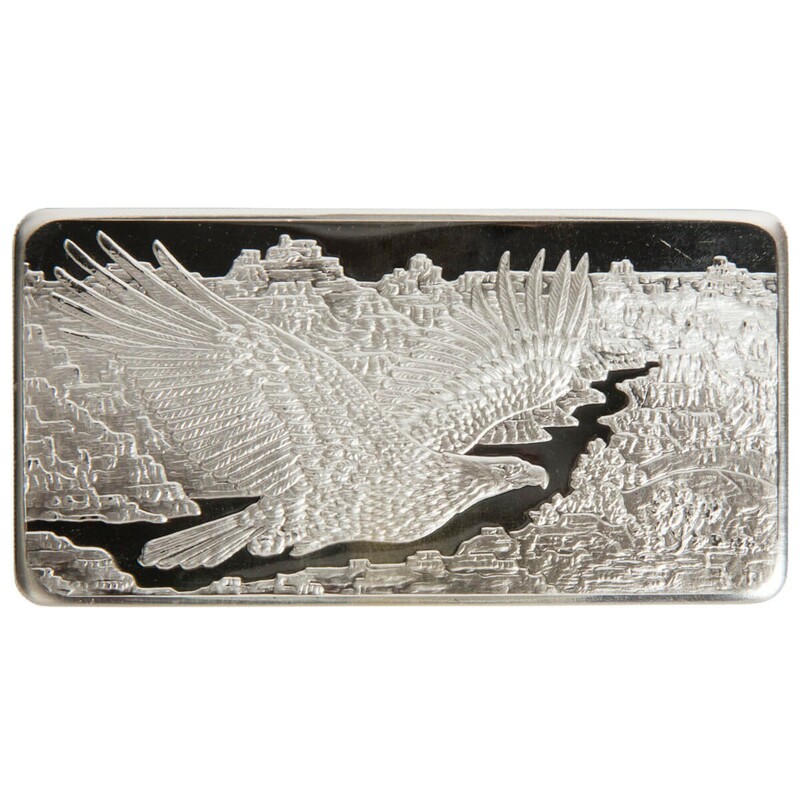 Their newest design depicts a Bald Eagle, proudly flying over the Grand Canyon. 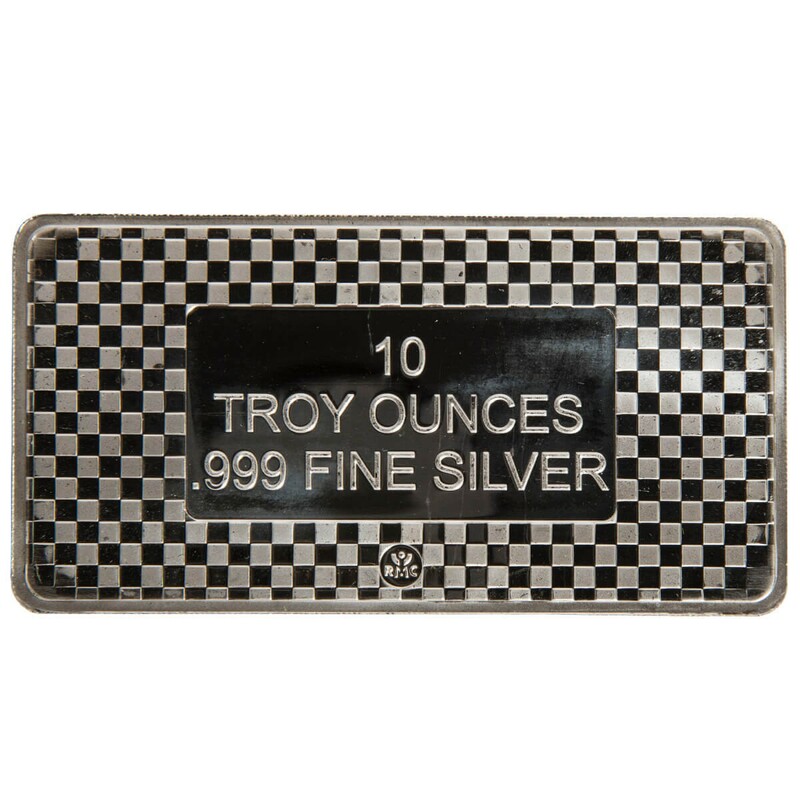 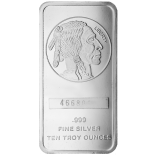 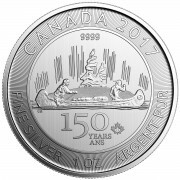 This 10 ounce bar is 0.999 fine and IRA eligible. 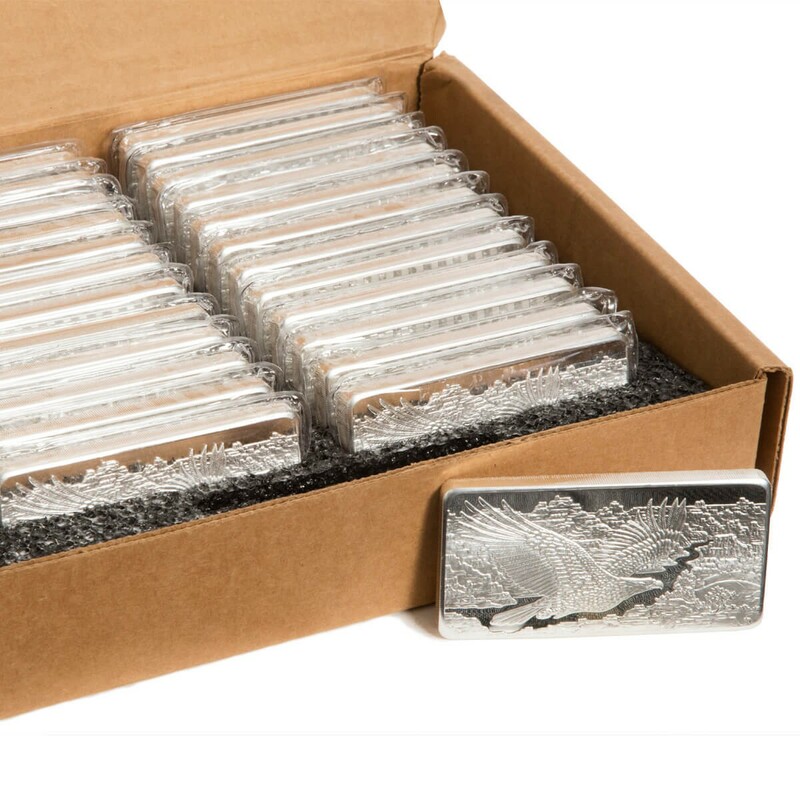 These bars, when coming from RMC, arrive individually heat sealed and packed in boxes of 25.